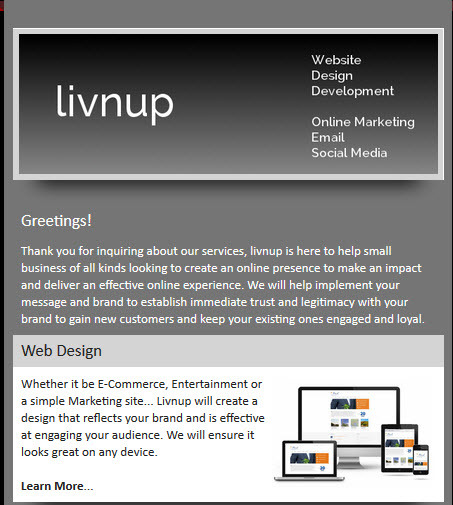 Livnup designs and develops websites to help small businesses engage and grow customers, audiences, and interest. We strive to create a complete online experience from marketing to commerce. Livnup understands the importance of proactively engaging your customers to deliver timely and relevant messages. 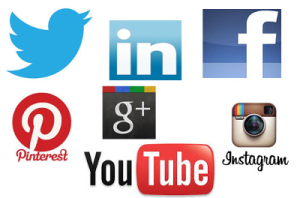 Our marketing techniques follow industry best practices by even the largest companies. Chris is the Founder and President of Livnup. Chris has over 18 years of experience in leading Business and Technology teams to create websites, web applications and drive marketing efforts using technology. He has worked with small, mid and large sized businesses to help create, brand and market products of all kinds. As a proven leader in the space where technology and business come together, he is a sought after resource to provide strategy and execution on projects that help business provide solutions so that their customers can achieve their goals. He spends his free time catching up on the latest technology trends, volunteering for community theatre, and consulting for friends and family on anything from basic computing to home theatre solutions. Mike is the executive vice president of sales and relationship management for Livnup, has 15 years experience helping small- to mid-level businesses promote their brands and online presence to improve overall customer engagement. A proven thought leader in the industry, Michael frequently provides education on various digital marketing topics. As President of a the Danvers Business Network International (BNI) chapter, Michael enjoys networking and cultivating lasting relationships. When not working, Michael enjoys spending time with his wife and kids, coaching youth sports, reading, and playing sports. Ask me about my latest Triathlon!